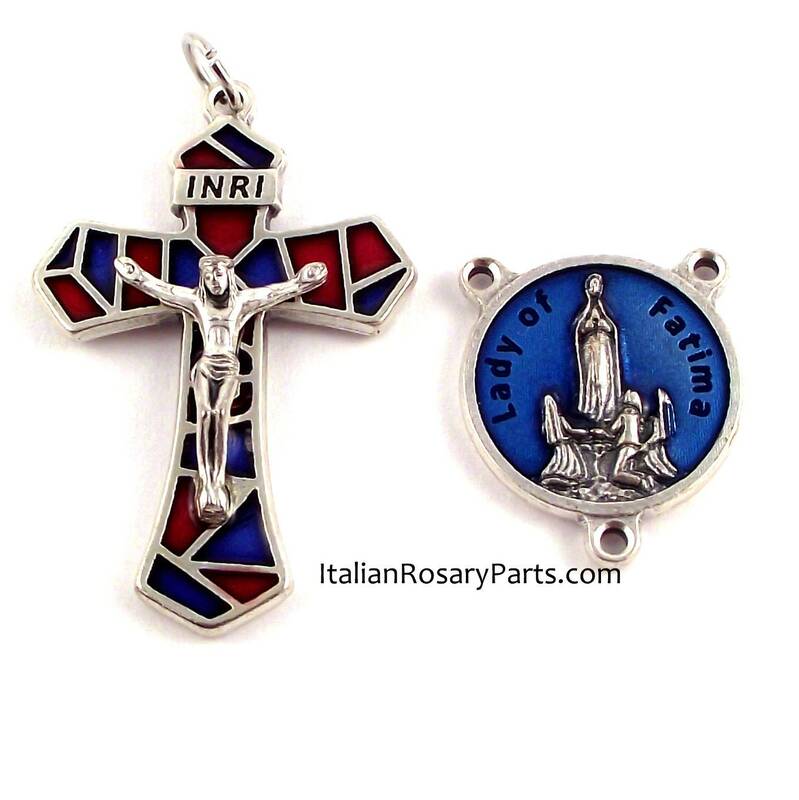 Center: A Virgin of Fatima rosary center medal with a blue enamel background. The back reads "Oh my Jesus forgive us our sins and save us from the fires of hell, lead all souls to heaven, especially those most in need of Thy mercy." Measures 3/4" in diameter. Crucifix: A gorgeous, bright red and blue enamel rosary crucifix designed in the style of stained glass. Measures 1.75" high including the loop.